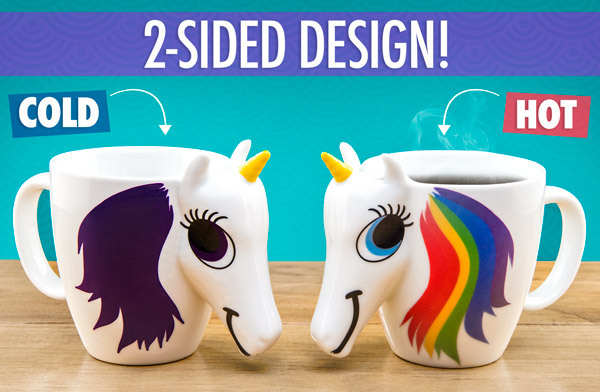 Unicorn Color Changing Mug: Add a hot liquid to reveal a rainbow mane. Coffee already brightens up your morning, and now it can brighten up your mug too. 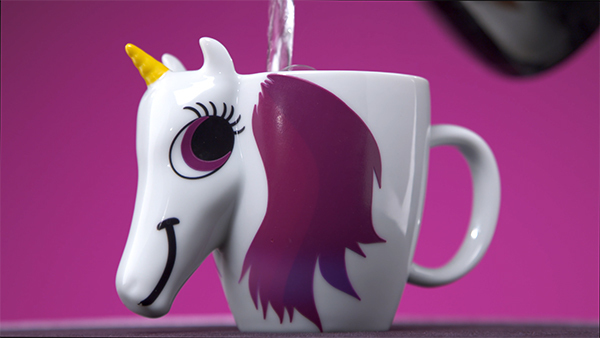 The Unicorn Color Changing Mug is a piece of 3D drinkware with a colorful surprise. Add a touch of unicorn magic (and hot liquid) to make the unicorn’s mane and eyes change color. The mythical beast’s flowing locks turn from purple to a rainbow blend while its irises transform from purple to blue. Hot or cold, the unicorn always looks at you with an adorable smile, and its protruding head displays the beast’s full-bodied majesty. If there’s one thing we learned from Lisa Frank folders, it’s that the only thing more magical than a unicorn is a rainbow unicorn. 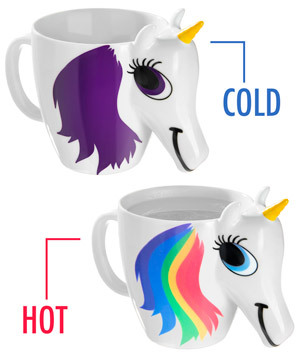 At room temperature, the enchanting Unicorn Color Changing Mug has a purple mane and eyes. Pour in your hot beverage, and the purple hair turns into a fun multi-colored mane. The heat also affects the beast’s peepers, giving it a pair of bright baby blues. It’s a colorful collage to welcome you to the day ahead. Everyone could use a friendly face in the morning, and the Unicorn Color Changing Mug has a friendly face that sticks out. The 3D design’s protruding snout, pair of ears, and (most importantly) magical horn make the beast’s cute expression even more eye-catching. The contoured face even has small indentations for nostrils (because it’s important to be realistic with your pretend animals). The mane, the myth, the legend. Question: Does the 3D face increase the capacity of the mug? 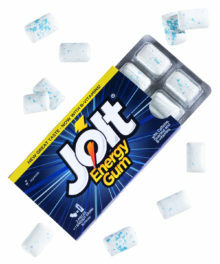 Answer: A little bit! The snout on the Unicorn Color Changing Mug is an open cavity that will fill with your beverage if you pour enough into your mug. 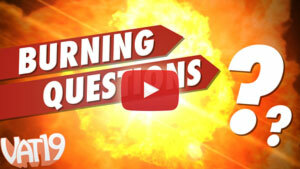 Question: I’m a unicorn hunter (in a good way). Got anything else for my collection? 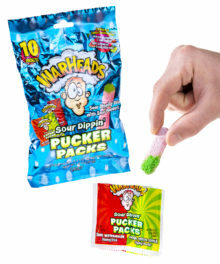 Answer: Thankfully, this rare beast is slightly less rare at Vat19.